Three-piece American pop-rock band ‘Haim’ has been setting the world alight since their debut album “Days Are Gone” hit the market in late 2013. Since then they have been enthralled in a huge touring schedule supporting the likes of pop heavyweights such as Taylor Swift, Rihanna and Florence and the Machine – as well as their own personal tour. With a legion of fans worldwide; it’s safe to say that ‘Haim’ is bringing their name to the forefront of the next generation pop-rock powerhouses. 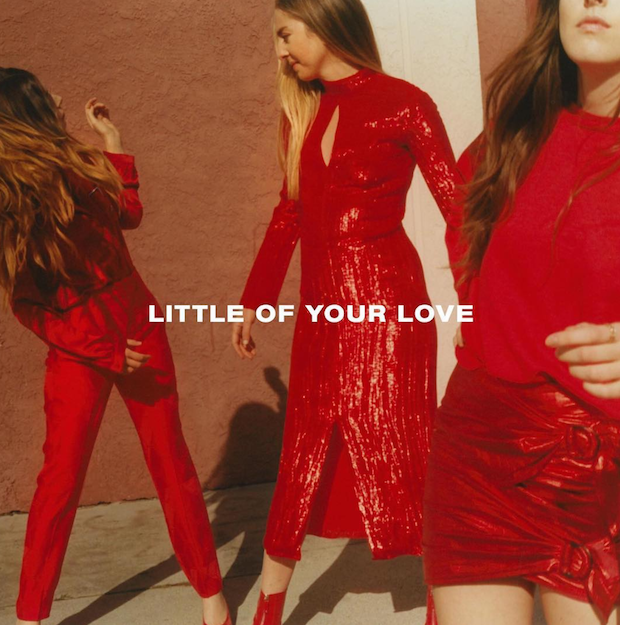 Their latest release ‘Little of Your Love’ is of the same high quality that we’ve come to expect from the girls. This new track puts on full display the bands innate ability to blend traditional pop elements with their own low-key rock flare. Danielle takes on a journey with her romantic lyrics and a chorus that will undoubtedly be engraved into your memory. Paired with chimed piano tones and guitar fills to melt the heart, the song also includes electronic influences which while subtle, ties the overall up beat feel of the single together beautifully. ‘Little of Your Love’ Is the bands third release for their upcoming sophomore LP, ‘Something to Tell You’, due to drop July 7th. With other tracks, “Want You Back”, and “Right Now” being released earlier in the year with similar reception. If their latest preview is anything to go by then 2017 looks to be another massive year for the band. The girls will be in Australia for the Splendour in The Grass music festival as well as a one-off show at the Enmore Theatre in Sydney.